Instagram to block anti-vaccine hashtags amid misinformation crackdown Instagram said Thursday it plans to block a slew of anti-vaccine hashtags amid an ongoing crackdown on medical misinformation on the platform. The company, which is owned by Facebook, shared its plans after media outlets inquired about anti-vaccine misinformation continuing to spread on the social media giant’s platforms. Facebook three weeks ago unveiled plans to combat anti-vaccine content, including a pledge that it would no longer promote anti-vaccine posts on Instagram’s search and “explore” features. 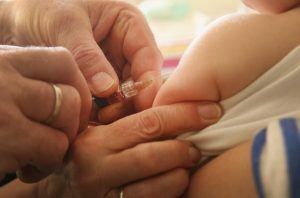 The Atlantic and CNN on Thursday reported that Facebook and Instagram’s search functions still recommend vaccine-related misinformation, including groups and hashtags that associate vaccinations with autism, a claim that scientists and experts have categorically debunked. “As part of our work to address health-related misinformation on Instagram, we’re looking at ways to minimize recommendations of this content and accounts that post it across Instagram – including in ‘Suggested For You’, Explore and hashtags,” an Instagram spokesperson said in a statement on Thursday evening. GoFundMe Bans Anti-Vaxxers Who Raise Money to Spread Misinformation Anti-vaxxers have long used GoFundMe to raise money to spread their dangerous message—but now the site is cutting them off, The Daily Beast has learned. “Campaigns raising money to promote misinformation about vaccines violate GoFundMe’s terms of service and will be removed from the platform,” spokesman Bobby Whithorne told The Daily Beast. “We are conducting a thorough review and will remove any campaigns currently on the platform.” It’s the latest crackdown on fact-challenged activists who believe the medical establishment, the government, and the pharmaceutical industry are engaged in a conspiracy to hurt American children. The U.S. anti-vax movement has been blamed for two outbreaks of measles that have infected some 300 people—mostly children—in New York and the Pacific Northwest. Last week, the American Medical Association warned social-media giants, including Amazon, Facebook, Google, Pinterest, Twitter, and YouTube, that they were helping to amplify the propaganda and confuse parents. I am looking for a protocol for treating shingles. What can be done? Also, any protocol to prevent shingles? Hey there. I enjoy the show but can only listed while i work out because I’m rather busy going through Chiropractic school plus I have a family. So my question is i would like to encorporate Homeopathy into my eventual practice. I’ve studied a lot of other topics but haven’t really research this yet. What resources would you most highly recommend that I start with and are there any particular companies that you recommend. I currently have accounts with a few companies that carry homeopathic products and one company that I believe only produces homeopathic products. I’m also curious if you can recommend any companies that produce remedies for those dreaded diseases that are most commonly vaccinated for now. Lastly, what should look for in a product when trying to fight infections such as strep or chronic infections like Epstein bar. The toilet seat that could save millions of lives: New gadget can detect early signs of heart failure by pickingup blood pressure, oxygen levels and heart rate Scientists have invented a toilet seat which could detect signs of heart failure before symptoms appear. The gadget fits over the top of a normal seat and contains sensors which can measure the user’s heart rate, blood pressure and oxygen levels through their legs. Its inventors claim the product could save millions of lives and make it easier to monitor at-risk patients with accurate, real-time information. 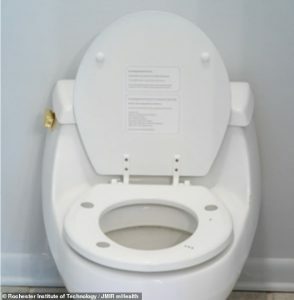 Currently costing £1,500 each, the toilet seats aren’t cheap but they could save hospitals money and improve people’s health, the researchers said. Inventors at the Rochester Institute of Technology in New York have designed and produced the seat, which they hope will cut hospital admission rates. Iowa town halts treating water with fluoride amid concern A small town in northwestern Iowa has ended its decades-long practice of treating the city’s drinking water with fluoride. The Ida Grove City Council narrowly voted this week to halt fluoride treatment in the city’s water supply, the Sioux City Journal reported. The move comes after city leaders and residents questioned whether the fluoride was effective at preventing tooth decay or presented health risks. A recent survey distributed through utility bills found that most respondents didn’t support fluoridation in the small city 60 miles east of Sioux City, according to the clerk’s office. Many cities use the mineral in drinking water to promote dental health. A Hawaii lawmaker in January introduced legislation to add fluoride into that state’s public water systems, while a city in central Ohio considered whether to implement the practice last year. 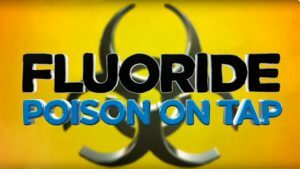 The mineral fluoride is in water and soil, and scientists more than 70 years ago discovered that people whose drinking water naturally had more fluoride also had fewer cavities. But the practice has been debated across the country, and some opponents have argued that its health effects aren’t completely understood or that adding it amounts to unwanted medication. 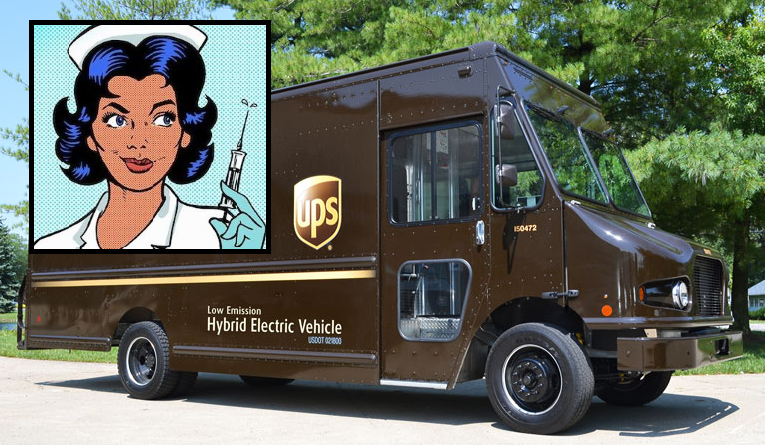 UPS eyes in-home health services with US vaccine project United Parcel ServiceOpens a New Window. Inc wants to get beyond U.S. doorsteps with a new push into healthcare.Opens a New Window. The world’s largest package delivery firm is preparing to test a U.S. service that dispatches nurses to vaccinate adults in their homes, Reuters has learned, as the company and its healthcare clients work to fend off cost pressures and competitive threats from Amazon.com. UPS did not disclose which vaccines it would be using in the project, but drug and vaccine maker Merck & Co told Reuters it is looking at partnering with the company for the initiative. The project, previously unreported, shows how UPS is targeting a larger slice of the $85 billion outsourced healthcare logistics market. Deutsche Post’s DHL Group dominates the market, which is expected to grow to $105 billion by 2021. ← KC Craichy, Living Fuel, Dementia deaths USA, Mercury flu shots, Not-A-Doc Chris Barr, The Un-truth about vaccines, TSA prescriptions, Immunization birth certificates and MORE!